Was it intentional or poor reporting when CBC’s Kady O’Malley didn’t include that the online petition group behind these robocall rallies is the same one that submitted 30K worth of “contacts” to Election Canada (see here) and not mentioning who is backing this petition site. – Julia Pope: Communications director for a company developing asthma therapeutics; Background in regional electoral politics and journalism; Participant in the Canadian Center for Policy Alternatives’ 2012 NextUp leadership program. Quite the list of the who’s who of the NDP and other Left-wing partisans huh? 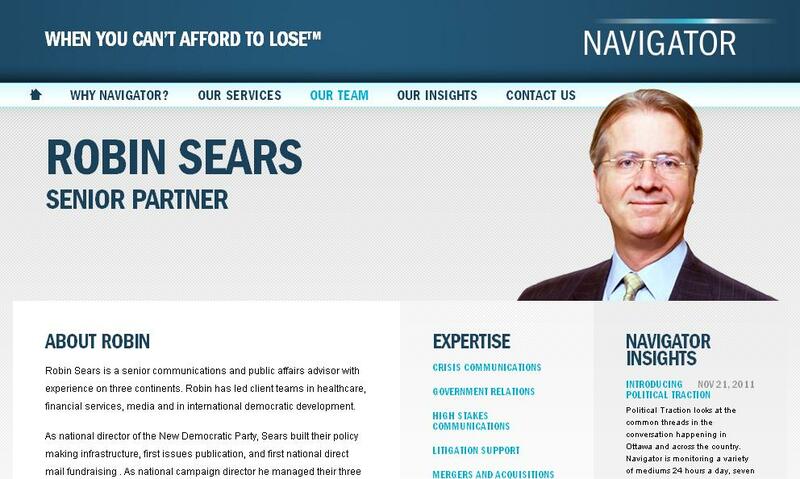 Wonder where Sears puts this kind of underhanded behaviour on his ‘dirty-tricks’ scale? @kady I don’t deal with that individual. Oh @kady … @leadnowca Yes, Jamie was at the#robocall #elxnfraud rally We promoted the event. Not so far. CP story mentioning “small crowd” ran pic of tight shot of one guy holding sign. Lizzie May was there,hooping and hollaring.It’s showing Rob Anders falling asleep again in Question Period on Global news. Well for one thing 30k “contacts” to EC in a space of a couple of days is not feasible, it’s more like part of a set-up scheme, EC wouldn’t even have the staff to handle such an onslaught. Then when you have bogus names and emails in the mix as has been reported, even “Harry Potter” had a complaint, maybe it’s time to look at the accusers and start litigating. Of course, litigation doesn’t bother some, Pat Martin appears to be ignoring his. Guess the good news is that no matter how hard they try to bring down Harper, the consensus media, opposition and all the other lefties don’t seem to be budging support for the Conservative government, according to Nanos. On Friday’s Power and Politics Greg Weston said when it was just a few calls, that was one thing, but now with 30,000 complaints, “This is serious!” He immediately called for more funding and more powers to Elections Canada to do whatever they want to get to the bottom of this. No mention of course that the bulk of the 30,000 “contacts” came from Ian Capstick’s robo-site. Imagine for a moment that a conservative website flooded the government with emails saying they wanted to allow greater powers for police to catch online predators. Do you think Mr. Weston would sit up and say the government needs more funding and more power to catch criminals because “This is serious!” ? Hardly. I would never ever lower myself to watch CBC or CTV again.Fox News and Sun is where there’s all the fun. This is really making me angry.What I would give to have Angus,Martin,Julian,etc., in a boxing ring where there was no way for them to escape,and I’m 72 yrs of age.What cowardly people they are.They are just a bunch of bragging know nothing’s. Time to show those idiots what a real e-mail complaint from Canadians is. We should flood the Speaker’s e-mail with requests to not recognize any of them when they rise to speak until they grow up, and CC to each of them. Also flood Nycole with requests she kick Martin out of caucus till his lawsuit is settled. Hope he and the ndp have to pay out very big bucks. Will their donors make a sacrifice to help them out. And to add icing to the cake, get out and vote conservative in the by-election for Jack’s seat. Bryan Lilly is going to talk about this tonight on by-line at 9pm…callers from the US signing the list. Like I’ve been SAYING! @RosieBarton: Hey, how about this? You ALL dislcose your calls! Then we’ll figure it out and report back to you. So thats it then………..we just leave it to these media hacks and let THEM figure it out, THEN they’ll get back to us. MSM/PPG, arrogant and out of touch as usual. Actually no, “you all” shouldn’t HAVE to “get back to you” in order for you to figure it out. It should be “provide evidence for what you say and what you think you know. Otherwise, don’t expect us to do your homework to help you carry out your little unsubstantiated MSM smear campaign”. It is no omission on O’Malley’s part, rather part of the CBC narative;30,000 voters have complained to EC. I just heard this line a few minutes ago from R Barton, and she has had all week-end to absorb the truth about the on line petition origin of these 30,000 voters, Some of them live outside Canada. Barton and the anchorwoman on CBC Newsworld discussing QP mention it is the CPC keeping Canadians in the dark about the robocall scandal, when everyone wants to get to the facts. They also mention calls for an independent enquiry. To CBC mindset, the CPC is responsible for voter manipulation, period. No need for facts. Guess CBC has a vested interest in the outcome of bringing down the Govt. that’s going to cut CBC by 10% or more in the upcoming budget. The look on their faces are like a deer in headlights of a car. FEAR!!!! Sun News said there were about 150 people at noon…hardly covered the steps of parliament and not even a footprint in the white snow. Then NDP Pat Martin and Libby Davis were the smear speakers……no wonder the crowd(ahem) disappeared. Martin said they want health care not election fraud. He was quite vocal in QP today along with his monkey side kick Charley Angus. Can’t get sued in the house. Pat Poutine Martin won’t give it a rest.They never learn. A 10% cut to CBC is going to actually be more than 10% if you take into consideration what they where asking for. Having watched how they operate, they tend to budget for money that hasn’t been committed yet. So if for the sake of demonstration, they have planned for a 10% increase in their budget, the total cut is more like 20%. So if the CBC is actually having to reduce expenses to that level, there is indeed panic setting in the minute they heard rumours of a 10% cut. The budget will force the opposition, punditry, and the rest to come to terms with the reality that…..
Harper won, get over it. From this point forward those four words will be the response to the trolls suffering from HDS. Kady said that she could organize a protest in less than 5 minutes via twitter and fb. Guess she is losing her touch, maybe she has calluses on her thumbs. Too bad all those foreigners couldn’t make it from Nigeria and other places. Really was looking forward to seeing Harry Potter there. Martin, amazing how Barton is trying with all her might to make it sound like there is such an uproar over this, how so many people are complaing about those evil evil Conservatives.Also amazing that Barton and the anchor forgot to run the tape of the massive protest just a hop skip and jump away from them……. When it comes to Kady’s reporting, all of it is poor, and that must be not maliciously intentional, but inescapable – she’s simply incapable of good reporting. She is very good at not being cornered with her obfuscation though. @Platty: credit must be given where it is due – it was killing me too – saw it on Ezra Levant’s show a while back. Kady could organize a protest in 5 minutes……… so go for it Kady let us see how many followers you have. As for the Gazillion EC contacts two of them are mine through the Avaaz site. One was a Mr Goatlips from Pakastan the other Peeair Poutine from SeperationH st Quebec. I wanted to show that a invalid e-mail post would still be accepted. As the `vast crowd of protestors shows Canadians aren`t intersted in the Dog, pony and hysteria show the opposition are putting on. the list of people are “advisors” – as listed on the site…….so that the two young punks who started that site have people to contact for info?…or are they more than that from information you have? I have no specific information other then what is included on the website except that the person on their Twitter account denies giving anyone outside their employees (5-6 people) access to their email list. So I see who the Harper supporters are, and what they are like. Like him. Ew.